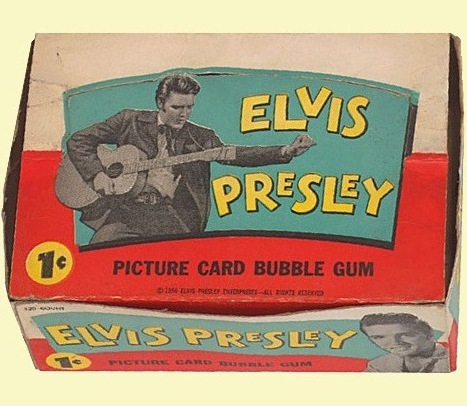 As a follow-up topic to The Story Of The 1956 Elvis Bubblegum Card Set (found HERE!) 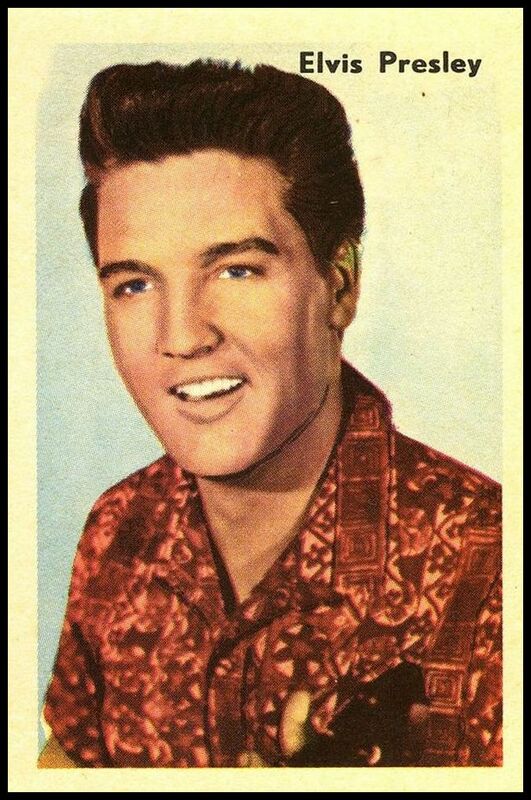 , Echoes presents a closer look at the Elvis-cards that were part of worldwide multiple artist sets from the 50’s and 60’s! Once again, all thanks and appreciation go out to Seth Kaminsky (USA), who not only wrote this article, but all cards that are shown here are from his personal collection. Following the issuance of the Elvis card set in 1956, Topps only produced one additional card set focusing on a single recording star, namely the 55 card Fabian set in 1959. Although (in this writer’s opinion) an awful singer, Fabian was a teenager heartthrob in the late 50’s and the set was mainly a Fabian/Topps publicity project. Fabian cards are quite common and inexpensive although the gum wrapper and sealed pack are quite scarce and for diehard collectors, the Fabian display box is very rare. 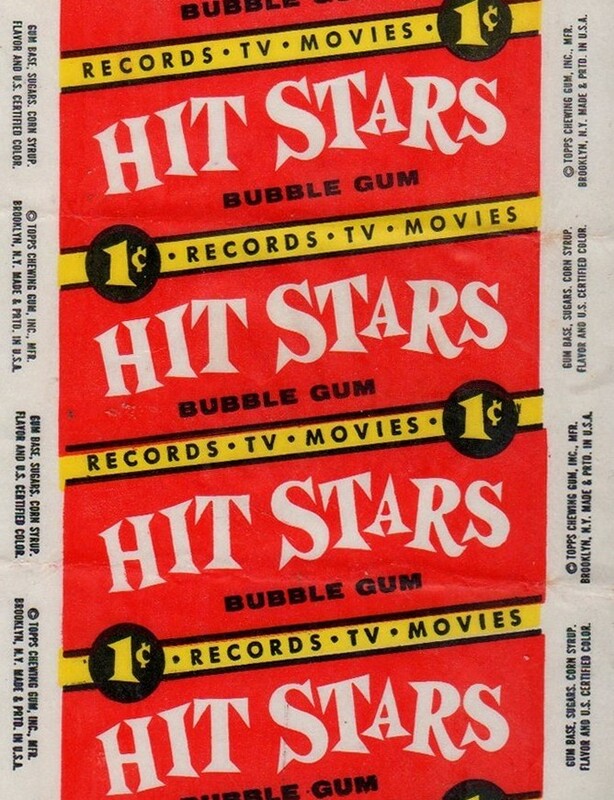 In the late 50’s and early 60’s, the world of recording star cards moved toward sets featuring multiple artists. Elvis was represented in most, but not all of these card sets. Sets featuring a single star or group made a comeback when the Beatles were the rage as THIS group was just too hot not to have multiple sets issued, just focusing on them. Others followed in the mid 60’s and into the 70’s with single star/group sets featuring The Monkees, The Rolling Stones, The Bay City Rollers, Bobby Sherman, The Partridge Family and others. Several other later issue “all Elvis” sets included the 66 card Boxcar set from Donruss and the huge 660 card 1993 River Group set issued in several series. These sets were interesting but quite commercial. From this vantage point, the multiple star sets of the late 50’s/early 60’s were among the best images of the stars and groups making the music of the day. 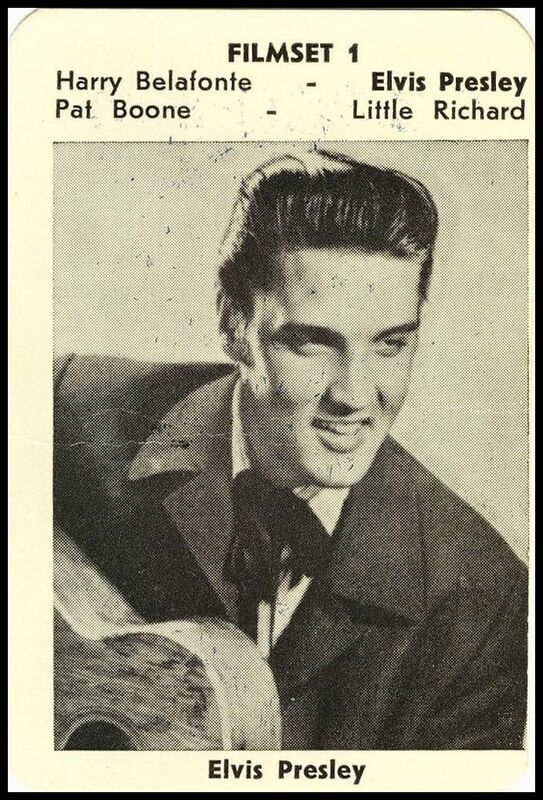 Although Elvis was American, the output of card sets in the States in the late 50’s was sparse. This might have had to do with licensing problems and difficulty in securing record company approvals but in any event, the rest of the world had to pick up the slack. The granddaddy of these sets was the US Topps Hit Stars set, released in 1957 but attributed to 1958. The 88 card full color 2 ½ x 3 ½ set includes a mix of recording and film stars with James Dean having four cards (why? 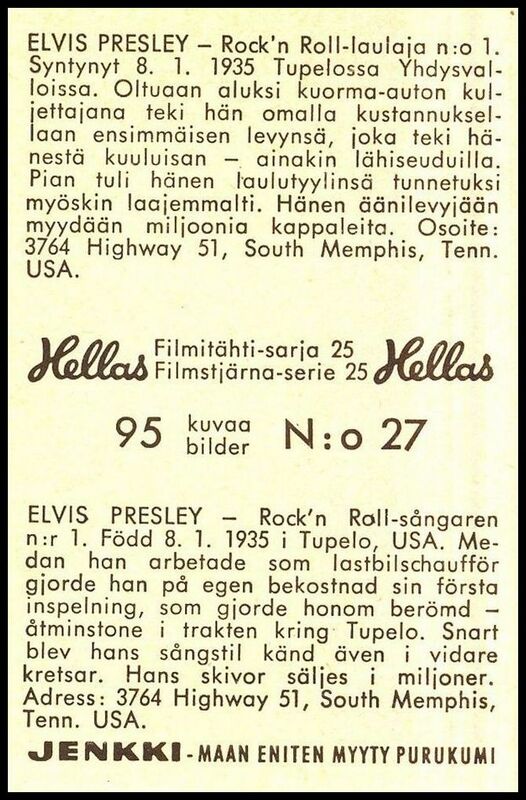 who knows) and Elvis pictured on card #59. The cards were issued in 1 cent and 5 cent packs along with a one cent display box. The cards are notorious for being off center. 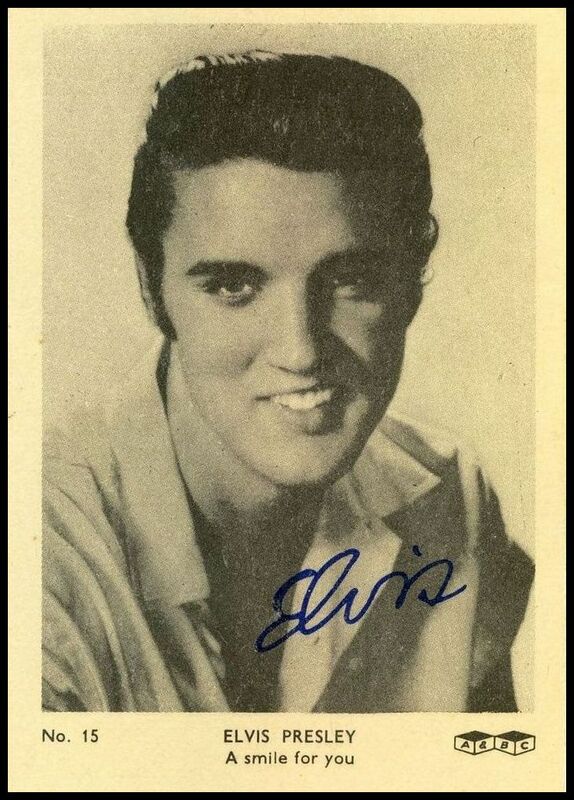 Two other multi recording star sets were issued in the States but only one of them included an Elvis card. 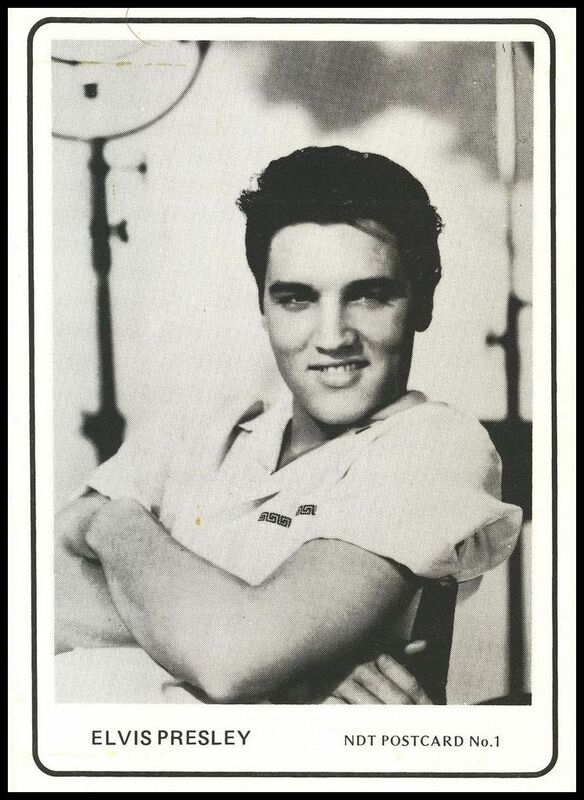 The blank back, postcard size, black and white 64 card set issued by Nu Cards in 1957 or 1958 featured Elvis on card #37. The set was simply called Rock & Roll. The cards were released in three card cellophane packages both in and out of vending machines at 3 cards for 5 cents. The individual cards from this set are reasonably common. Because of their similar size, these cards are often confused with true arcade or exhibit cards (which were also available in arcade vending machines). But arcade cards are unnumbered, many had bios on the back and represent a whole different card genre. from the Rock & Roll set. The 80 card Spins And Needles set from Fleer came out in 1960 with no Elvis card, even though Elvismania was at its peak. It’s presumed that this was due to licensing problems with Elvis Presley Enterprises and Fleer no doubt didn’t want to mess with the Colonel! 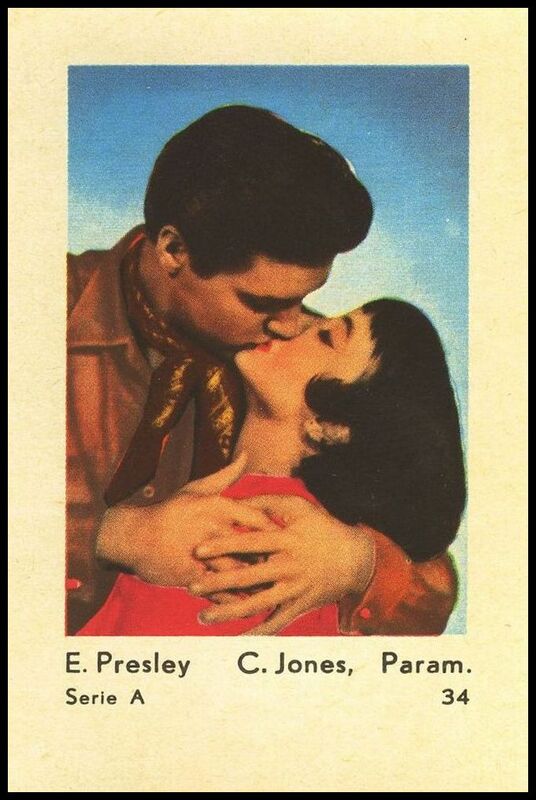 But … Pat Boone IN (card #13) and Elvis OUT? Hard to imagine. The Spins And Needles display box. Many other “Elvis only” playing card decks have been produced in the last few decades with full unopened packs being quite common. Other card sets issued in the 70’s and beyond included Elvis in their set but to this writer, only those sets issued contemporaneously….while The Man himself was making his music are the real deal. 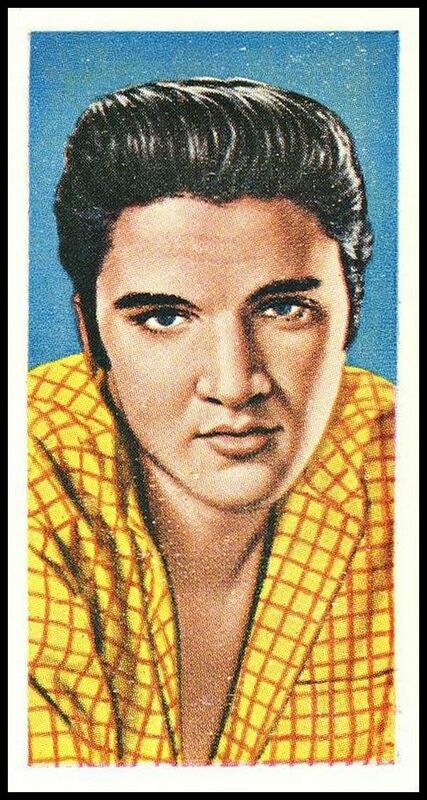 Beyond the above few sets, the rest of the world carried the day in their inclusion of Elvis cards in their multiple recording star sets. Given the various countries issuing sets, it’s interesting to see which Elvis image was used by each. 14 sets of 4 cards to a set (blue geometric pattern backs). Also issued in Jazz Stars series and Singer Stars series (both red geometric pattern backs). 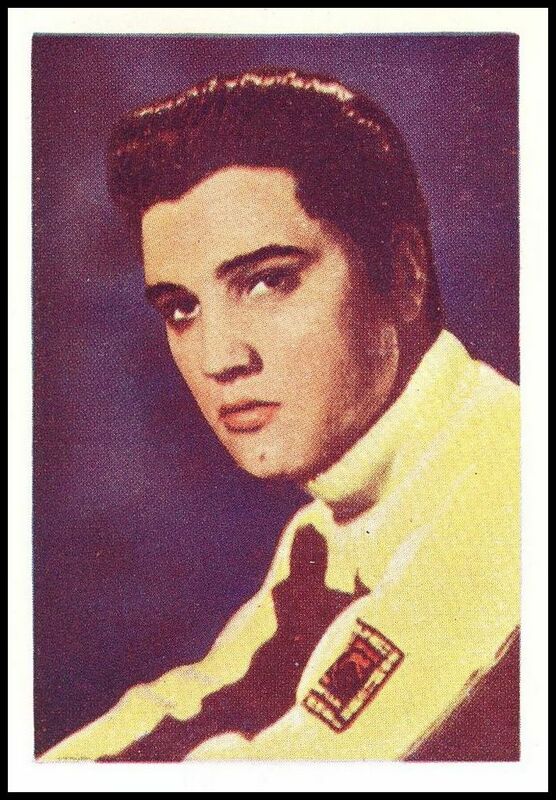 Elvis cards appear in several sets. Standard playing card size. Elvis card is #1. Set is 16 oversize cards (5 ½” x 4”) blank back, larger than standard postcard. Black & White. Origins unknown. 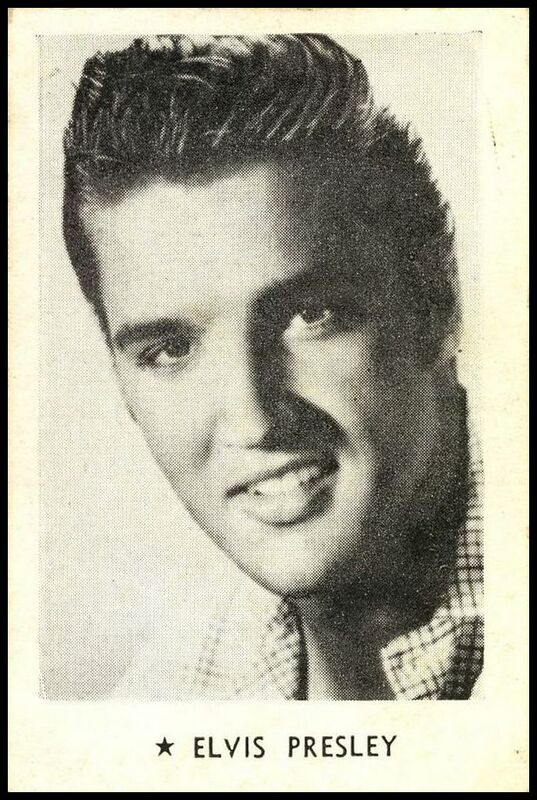 Elvis is Card #15 in 2nd series issued in 1958. 48 cards in each of two series. Issued by Madison Confectionary Products Ltd. 3 ¼ ” x 2 1/4”. Bio on back. Issued in gum packs of 1 pence per pack. Madison also issued albums for collector to glue in cards (Tragic!). 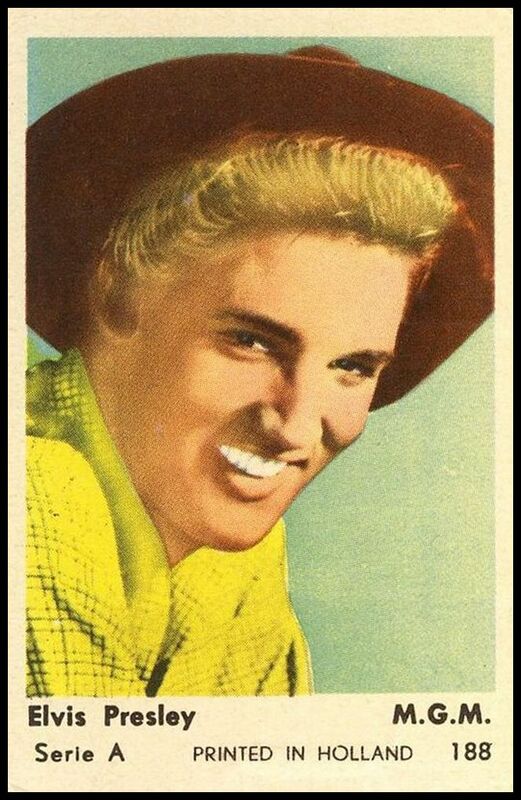 Later reissued in a 50 card set with same image of Elvis appearing on card # 38. Cards in this crudely printed reissue set are 3 3/4” x 2 ½”. 50 card set so called because of image of saxophone on flip side along with bio in two languages. Several different runs produced. In black type in English and French, in red type in Dutch and French and in blue type in German and English. 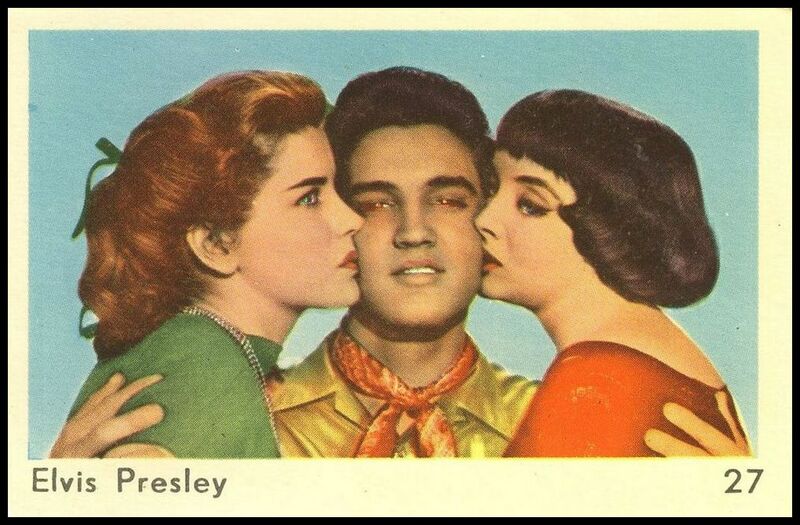 Elvis is card #27 (pictured with two girls) on all versions. Although wrappers and cards were printed in Holland, the cards are thought to have been distributed in Canada by Maple Leaf Gum in penny gum packs. Display boxes also exist. Card size 2 3/8” x 3 9/16”. 20 card set with Elvis on Card # 12. Distributed by The New Record Mirror, a UK news publication. 2 ¾” x 1 3/8”. 20 card set but same image issued as many as four different times as “swap card inserts” in publication of this weekly kids magazine. 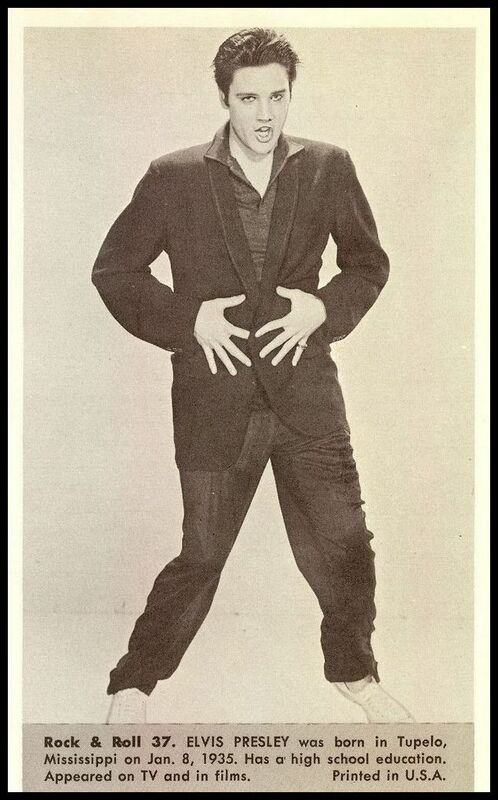 Elvis images issued at least twice on Jan. 9 and Jan 16, 1959. 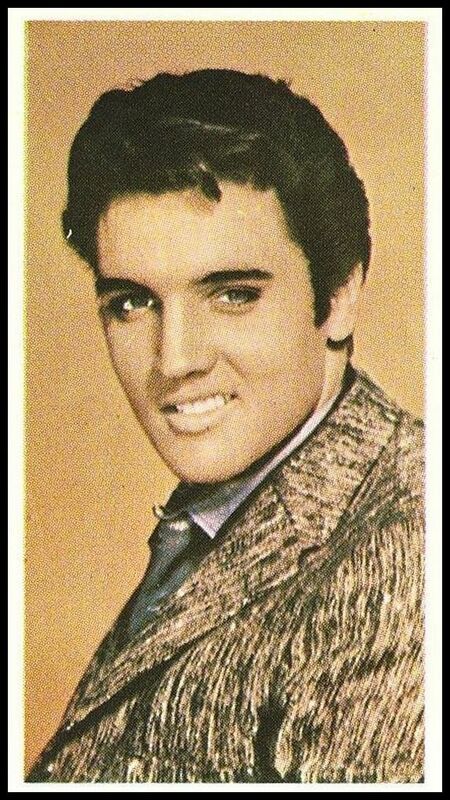 Elvis image also appears in other Chucklers film card sets. Oversize specialty card inserts with same image as smaller cards also known to exist. Cards are 3” x 2”, black and white with bio on back. Issued by Kane Products, Ltd. Although of much later issue (1970), this set is included here because it focused on some of the early R&R stars and includes a cool Elvis card. A 50 card set issued in both small 2 3/8” x 2 3/8” square size and large 3 ¾” x 2 ½” size. Elvis is card #9 in both large and small versions. Same image of Elvis in both size cards. Kane also issued albums for collectors to glue in cards…. (again, tragic). 10 card set issued by ABC Minors. 2 ¾” x 1 3/8”. 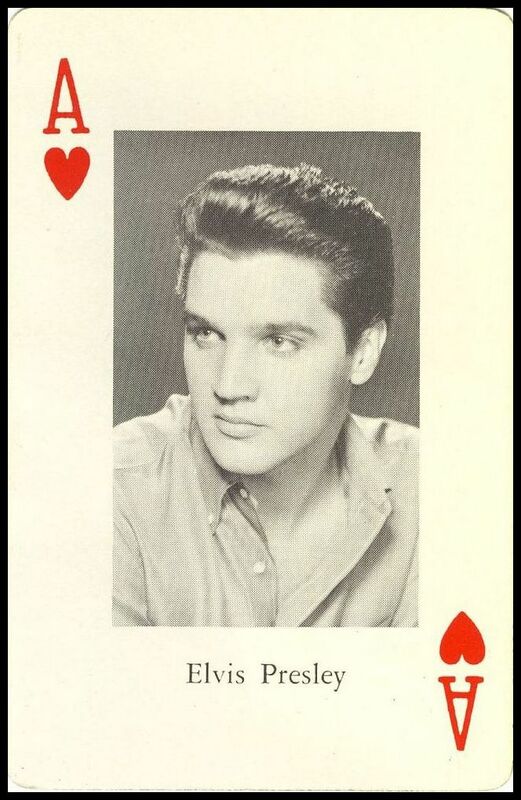 Elvis is card #4 although verbiage on flip side of cards reads….”this is the fifth of 10 cards”. Issued by the Saturday Matinee Cinema Shows. Two sets issued. One Set of 36 cards and the other of 40 cards with Elvis appearing on cards 15, 16, 17, 18 & 19 in both sets. Cards are black & white with blank backs. Issued by A&BC in 1958. Elvis images are the same as was used in A&BC’s ’56 Elvis set. Issued in two sizes…3 ¾” x 2 ¾” in cream color with grey backs and 3 ½” x 2 ½” in white with cream color backs. 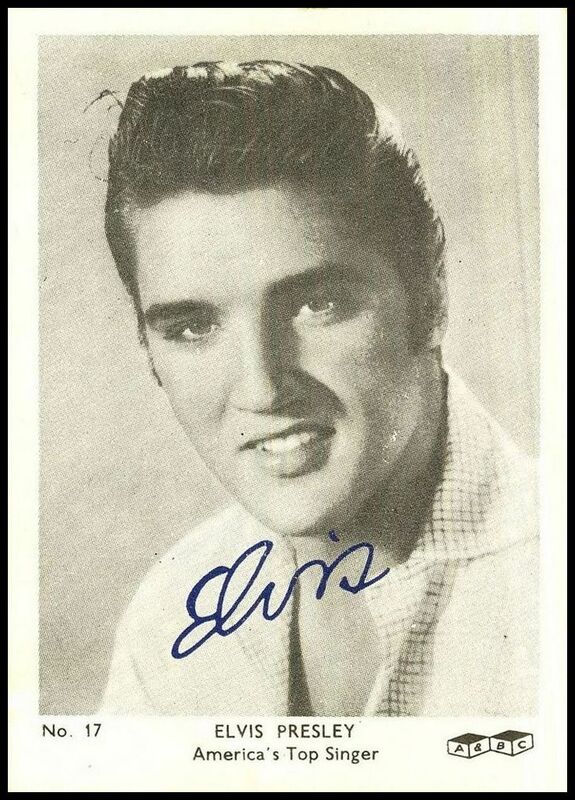 All cards have blue Elvis “signature” on front of card. Although commonly called “Dutch Gum Cards” and printed in Holland, most of these sets were actually issued in Sweden. 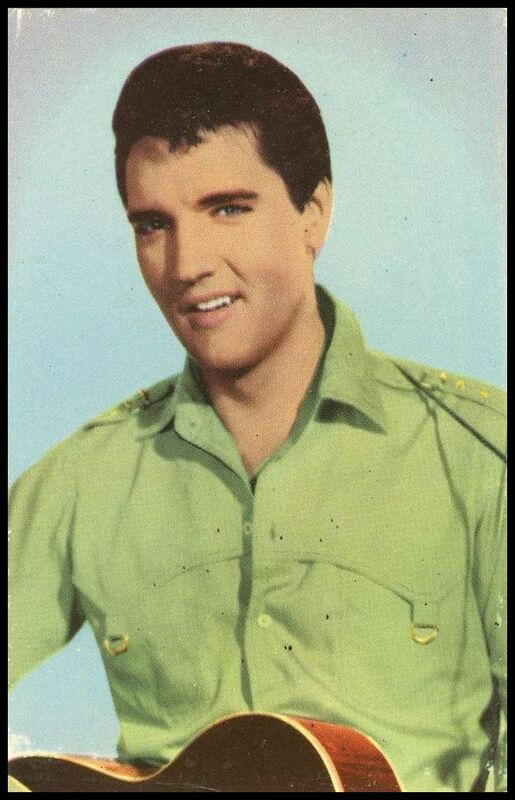 Hundreds of Elvis cards were issued in dozens of card sets in the late 50s/early 60s. These 3 5/8” x 1 ¾” cards were printed both on cardboard and thin paper as gum product promotionals. These sets (some of which included hundreds of cards each) covered film stars and other recording stars. Sifting through these sets to create “Elvis only” checklists is quite a project in itself. 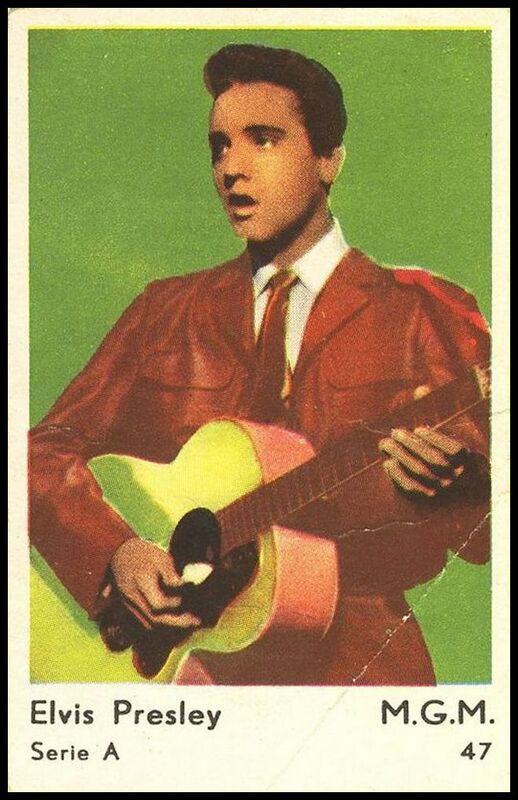 It’s estimated that over 400 Elvis Dutch Gum Cards were issued in different sets but many with the same Elvis image. 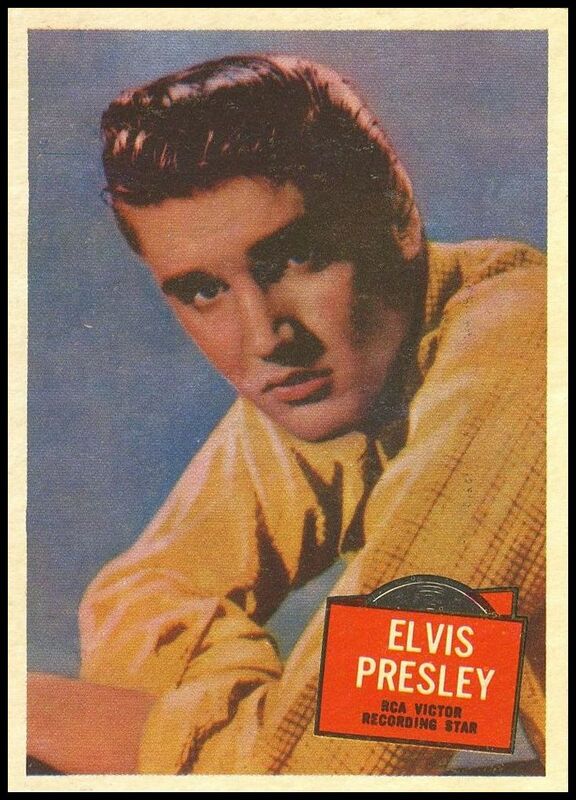 2 5/8” x 1 3/4” At least 30 different Elvis cards were issued in this 198 card set. 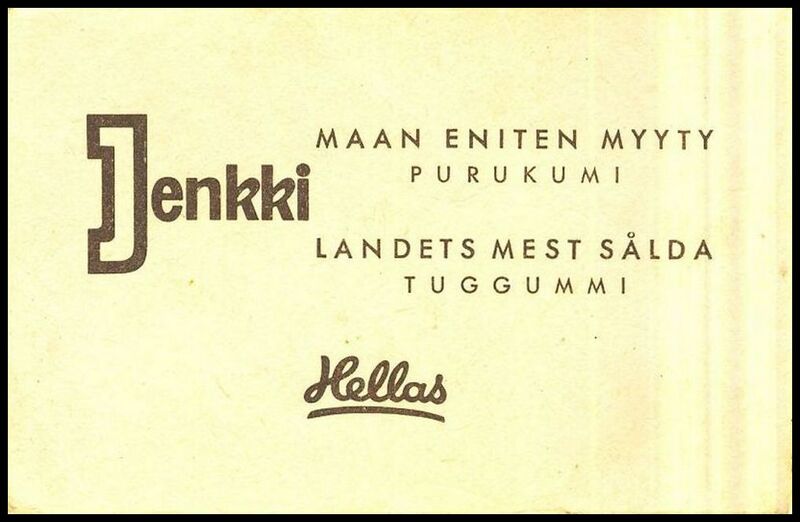 Issued with Jenkki candy. No bio on back. 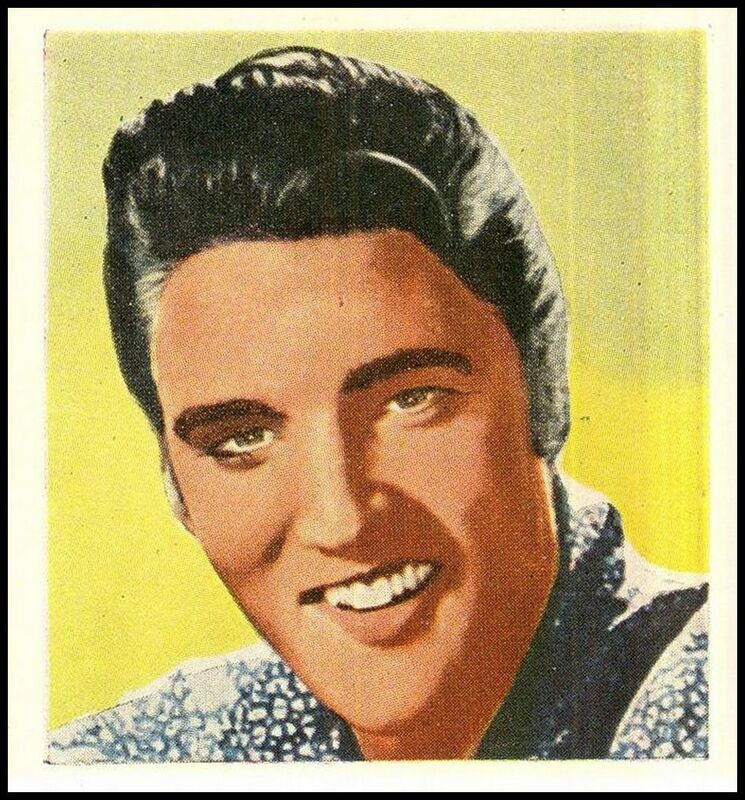 At least 27 Elvis cards were produced in this 175 card 3” x 2” set. 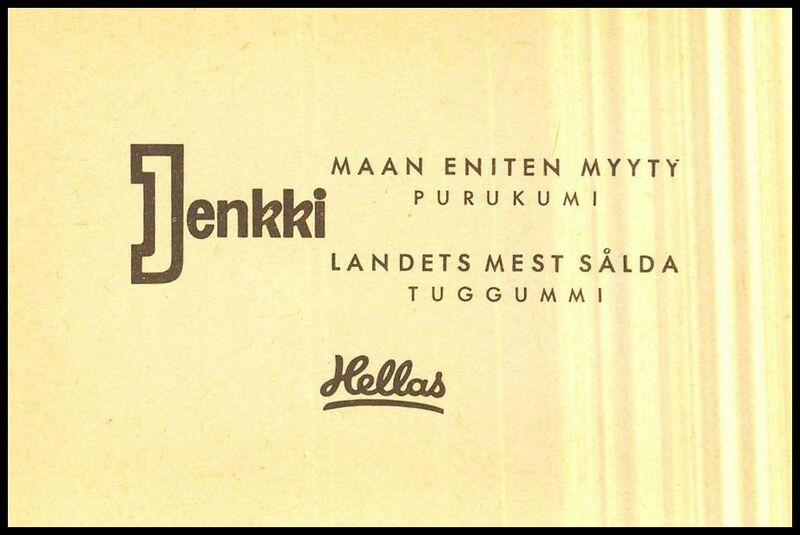 Issued with Jenkki candy. No bio on back. 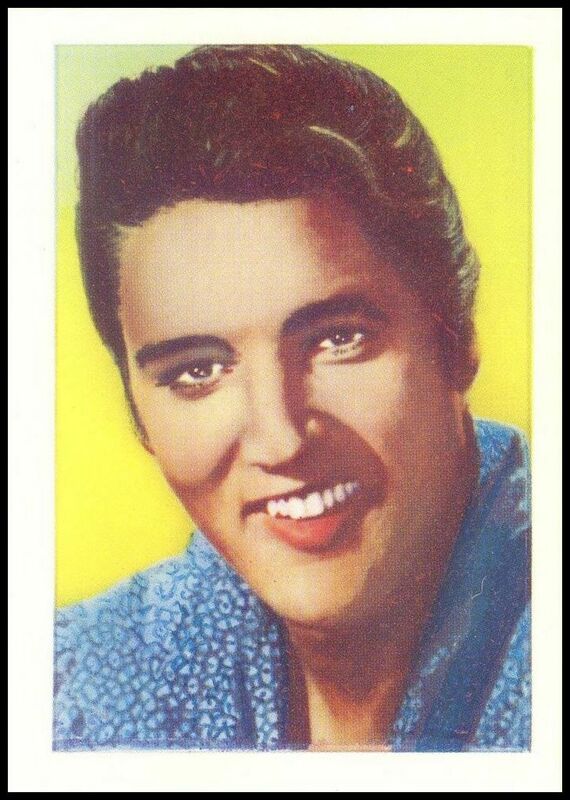 At least 7 Elvis cards in this 95 card 3 1/8” x 2” set. Bio in Finnish and Swedish on back. Issued with Jenkki candy. Well fans, you get the idea! Keep an eye on Echoes for further explorations into the world of card-collecting … coming SOON! Fantastic read, my complimets Seth! I have a set (series A) of Jenkki cards, all in plastic sleeves, starting with Pat Boone #1, and going through to Audrey Hepburn at #180. All are in numerical order. Do you have any idea of the worth of this collection? Hi Michael: I assume the set you have is the wide border Serie A set with the Jenkki ad on the flip side printed horizontally. The set is a mix of film and recording stars. My collection only contains the Elvis cards in the set which I think totals 27 cards. Individually, I’ve seen these sell for $3.00-$10.00 a card depending upon the star pictured and the condition. That’s the good news. The bad news is that the market for these cards in fairly thin and there are not many collectors out there at all much less collectors willing to pay say beyond $400 or $500 for the set. Just an opinion. Bob at Echoes can get you my eMail if you want to discuss further. Fantastic , wonderful these pics. Thank you very much for the history about these cards. God was good to Elvis, he made him the bestlookimg dude to ever live!!! !